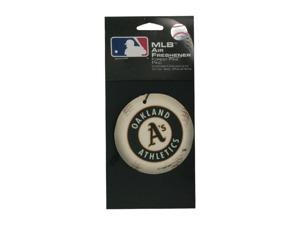 Keep car smelling fresh and clean while displaying the love of your favorite team. 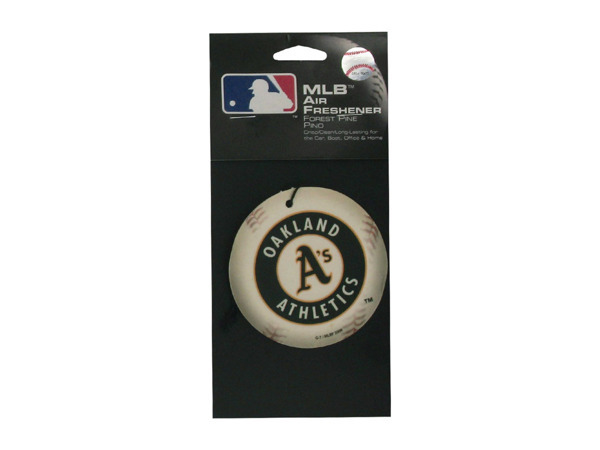 Air freshener features the Oakland Athletics logo and is pine scented. Comes packaged in an official MLB poly bag and header card.